Abu Muhammad al-Adnani, one of the longest-serving and most prominent leaders of ISIS has been killed in Aleppo, Syria, ISIS-affiliated Amaq News Agency announces. He was “martyred while surveying the operations to repel the military campaigns against Aleppo”, it said. Abu Muhammad al-Adnani was known for his calls for lone-wolf attacks in the West. One of ISIS’ founder members, Abu Muhammad al-Adnani is also said to have masterminded attacks in Europe and elsewhere. The statement did not say how Abu Muhammad al-Adnani, who had a US bounty of $5 million on his head, was killed. A US defense official said US-led coalition forces had carried out an air strike on August 30 in Syria targeting a “senior leader” from ISIS in al-Bab in Aleppo province. Abu Muhammad al-Adnani’s death comes at a time when ISIS is suffering military reverses in both Syria and Iraq. He was last heard in an audio message in May urging Muslims to carry out attacks in the West. 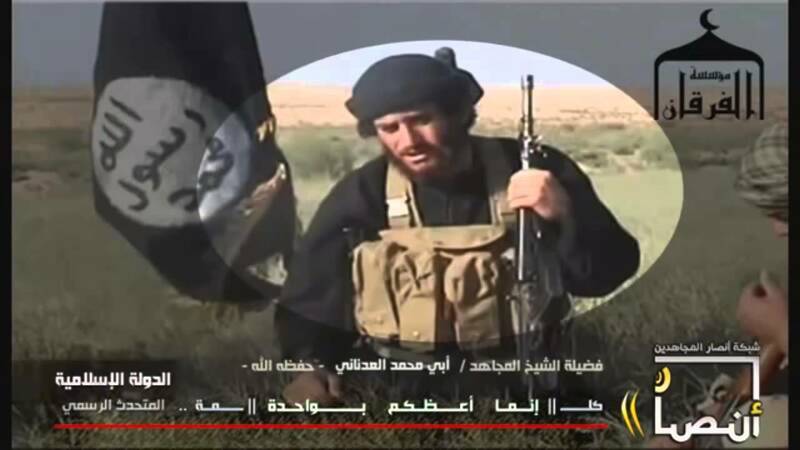 Abu Muhammad al-Adnani was born Taha Sobhi Falaha in the northern Syrian town of Banash in 1977. According to US officials, Abu Muhammad al-was one of the first foreign fighters to oppose the presence of US-led forces in Iraq after the 2003 invasion.